In the meantime, I’ve created a repository on GitHub for this project. I’ll upload all the setup instructions, code, etc in there: https://github.com/dsebastien/audioPi. While doing my research, I’ve also read more about the Music Player Daemon project, and I think that it’s exactly what I need. Since it’s an headless music player with a client/server architecture, I can rely on it for the server side of things: actually playing the songs, maintaining the playlist, interacting with PulseAudio & ALSA, etc. I can also leverage the different plugins it provides, such as the output ones. Another benefit of using MPD as backend is that it automatically broadens the usability of the solution since there are (LOTS) of MPD clients (e.g., CLI, desktop, web based, Android apps, etc), which is pretty awesome as it provides the means of controlling music playback from many different places. On the other hand, I can implement the client API of MPD in my audio engine (A) in order to extend the possibilities, as explained in my previous post (e.g., A2DP support, LCD display, etc). I’ve worked a bit on my little side project. The more I think about it, the more I feel like it could be more than just a car audio improvement; it could be a full blown music box, as useful in the car as outside of it. This component (custom hardware extension?) could further extend the Audio Engine API by interpreting and forwarding commands received from remote control devices (e.g., RF commands). To forward commands towards the Audio Engine, it could leverage the Web Services. The Bluetooth module could further extend the Audio Engine API by exposing it to paired devices. The paired devices could then send commands towards the bluetooth module, which would interpret and forward the orders towards the Audio Engine. A custom remote control device could be created that would send commands towards the Remote Control Host Device (B). These commands could be a subset of those of (D). The A2DP module would provide standard A2DP functionality. Open questions: link with the audio engine? Override the current playlist? USB mass storage devices could be automatically detected & scanned by the Audio Engine (A) in order to find & play music present on them. Open questions: how to detect USB devices as they’re plugged in? Behavior if music is already played from other sources? If we suppose that the Rpi does have a Bluetooth module, it implies that it can connect to the Car. Now, even if the car does not support A2DP, it could still expose some functionality through Bluetooth. One of these might allow for some level of integration with the car’s HUD. The Audio Engine (A) could fetch music from the Web if it gets Internet access (e.g., via Wi-Fi or Ethernet). 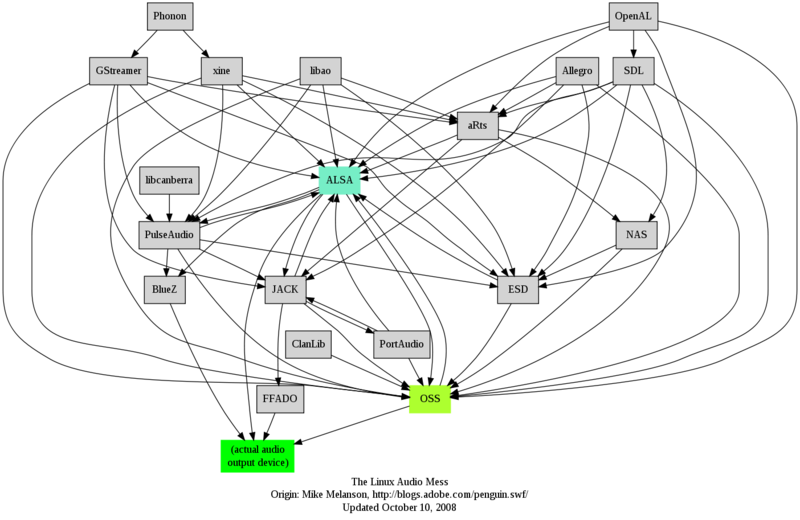 There, possibilities are numerous: get music from a NAS, from Web radios, from online music services, etc. The Internet access could also be used to send information about playing/played music online (e.g., towards LastFM, Facebook, etc). The project could either use the onboard audio capabilities or an USB sound card or DAC. From there it could be plugged in different types of speakers. If audio files are present on the SD card, these could also be played. Again I consider this as bonus, but it would be nice to be able to plug in a microphone and give orders to the Audio Engine (A) by speaking to it. It could be as “simple” as recognizing orders such as “Play, Pause, Next, …”. A second solution would be to hook an A2DP adapter to the RCA inputs of the car, such as this one from Logitech. Although the second solution seems overall better (possible to pair different devices to the A2DP adapter and stream anything to the car’s audio system of relying on the presence of an USB stick on the Pi, I think I’ll go with the Pi at first (otherwise all the fun is gone :p). 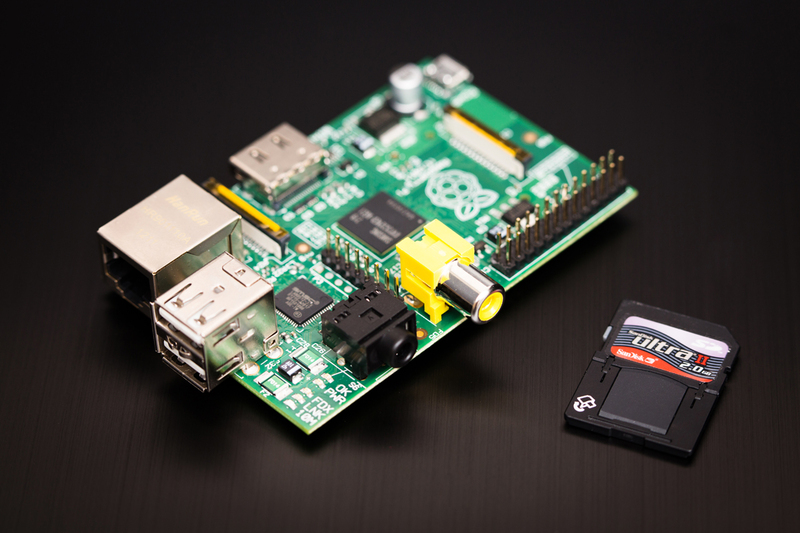 In my last posts, I’ve explained what I currently do with the two Raspberry Pi I own. In this post, I’ll describe one project I now have in mind that I will probably start working on in the coming days. My goal with this project is to extend the audio system of my car. Currently, all I can do in my car is to either listen to CDs (classic or MP3, which is pretty standard by now) or the radio. Apparently, I can’t stream music towards the car using Bluetooth because either my car, its specific firmware version or my bluetooth device does not support the correct Bluetooth profile (A2DP protocol). Fortunately, my car has an RCA stereo socket that I can take advantage of.